Only one left - Item discontinued by the Manufacturer. 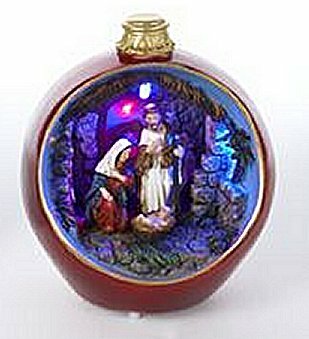 This unique musical ornament Nativity Ball with Color Change LED and Music will delight you and your family and friends! Put this on your own tree or give it to someone special as a perfect Christmas gift. 5.7" Tall. Battery Operated.